I had the great good fortune to visit one of my favourite cities again this August, New York city is just so much fun. I guess as a nutritionist it’s a different kind of fun – but I promise, it was amazing. The challenge is to find tasty food, ALWAYS, and for me it also has to be healthy. I am so sad when people think “healthy” to be boring and dull. It really upsets me if they think that if you’re eating healthy you’re missing out. 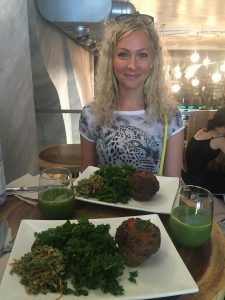 I hope my blog will show you, that it’s not the case and NYC is the perfect place to find the best of all – tasty, nutritious, ethically sourced food. I really like to start my day at one of the Juice Generation shops when I go there. (https://www.juicegeneration.com) They have anything you’d want for a yummy breakfast. 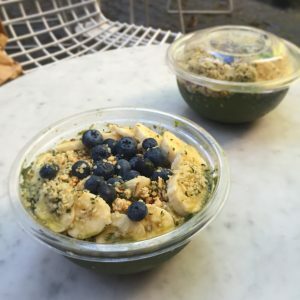 Cold pressed green juices, awesome smoothies and acai bowls all can be boosted with extra plant based protein powders – all vegan and gluten free, colourful ingredients, and they use their own home made nut milks. We tried the Amazing Green Acai bowl topped with blueberries and hemp seeds and after my 10km run around Central Park – I chose the Protein Revolution bowl, both were super delicious and filling. Coffee lovers are also well supported in New York, there are so many great little independent stores, but we also found some nice quality chains there too. One of our favourites was Joe Coffee (http://joenewyork.com) and the ultimate favourite for bullet proof coffee and paleo food – Hu Kitchen (http://hukitchen.com) We had several meals here, dinner and lunch, hot or cold, meat or vegan – it’s up to you, you’ll find the tastiest dishes, best raw vegan and sugar free desserts and most amazing chocolates. Our last dinner we chose another one of the ethical and organic chains, Bare Burger (http://www.bareburger.com) All their veggies are organic, they support little farms, their meat is also organic, grass fed and all natural. You just can’t go wrong if you fancy something naughty. They have gluten free buns, vegan, veggie, and different meat patties and you can build your own burger – toppings are also pretty awesome, the selection contains from guacamole to kimchi anything delicious and nutritious you can imagine. My guilty pleasure was their sweet potate fries. 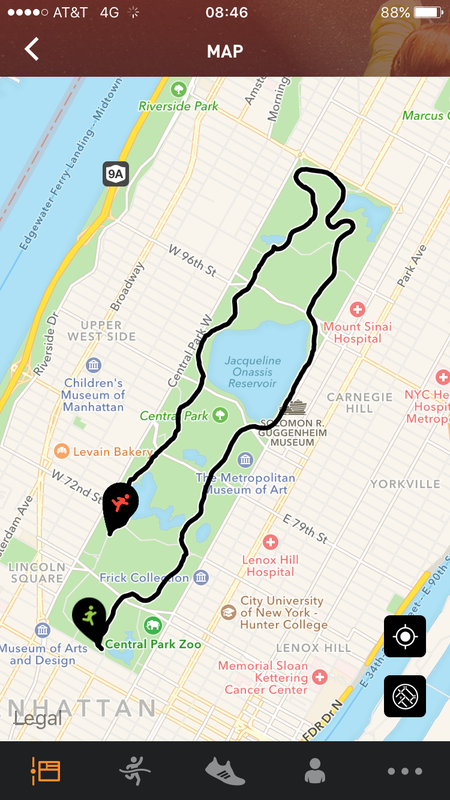 But I ran it off next day, all around Central Park, promise. I even found a lovely organic café in Hoboken (Pure Pita) for our last lunch – and we were very positively surprised by the food quality, the choice of yummy meals available and the service was extra nice. (http://purepita.com) We both chose one of their brown rice bowls with lots of veggies and Ahi tuna. It was yum. 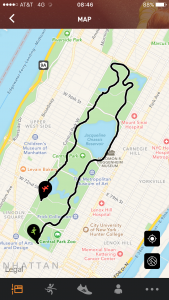 I find it super easy to locate quality food in this city and hope my few recommendations will help anyone choosing the right food there as well.